h2d | Cascade Applied Sciences Inc.
h2d is the two-dimensional version of the popular one-dimensional radiation hydrodynamics simulation code HYADES. It includes much the same physics as found in HYADES with numerical algorithms extended to the particular coordinate system employed. h2d is characterized as an ?r-z? code where the axis of symmetry is in the ?z? direction and the orthogonal axis is in the radial direction; there is no azimuthal coordinate. The computational grid defines quadrilateral zones and the motion of the vertices (grid points) is governed by the equation of conservation of momentum. While h2d solves the equation of motion in the Lagrangian coordinates using the method of artificial viscosities (similar to that in HYADES) additional artificial viscosities and pressures are required to resist the tendency of the computational grid to deform. The physics assumptions used in h2d are quite similar to those of 1D HYADES. The major difference between the two simulation codes is then the numerical implementation of these physics models. The "zero-D" models, such as ionization, are identical in the two codes. In many cases, the extension from one dimensional models to the two dimensional ones is straight forward. This is particularly easy for the energy conservation equations. However, the solution of the conservation of momentum equation is considerably more complex. Many 2D codes solve the energy transport equations (thermal or radiative) by sweeping first in one direction and then in the other. Our approach is to solve the nine-point finite difference representation of the diffusion approximation in both directions simultaneously. This is made possible by the development of the ICCG solver. All transport algorithms are flux-limited. The available ionization models are: no ionization, Saha, Thomas-Fermi, average-atom LTE, average-atom time dependent nonLTE, and fully ionized. See Chapter B of Book II, The Physics in HYADES for details of these models. While most of the physics models in h2d are extensions from the 1D HYADES algorithms, the hydrodynamics module is considerably different. This is largely due to the mesh distortions that result from nonuniform pressures and shear forces. The approach used in h2d follows closely the work of Wilkins (Mark L. Wilkins, Computer Simulation of Dynamic Phenomena, Ch. 4 and Ch. 8. (Springer-Verlag, Berlin, 1999). The hydrodynamics module is much the same as it is in 1D HYADES. The sound speeds, pressures, accelerations, velocities, and positions, etc. are determined much the same way. The pressure is really treated as a tensor and thus has nonisotropic components that arise from the pseudophysical "stresses". The effective force acting on a mesh vertex, due to the isotropic pressure in the surrounding zones, is computed assuming that a uniform pressure acts along each of the four zone diagonals surrounding that vertex. It is implicit that the zone be nonconcave otherwise the "indented" vertex actually lies outside the quadrilateral formed by its surrounding diagonals; furthermore, the pressure in such a zone is taken to act along a diagonal which actually lies outside the zone. It is not unusual for a mesh structure to become distorted by nonuniform forces. Hence ways to minimize nonconcavity are always sought. The fictitious artificial pressure is included to prevent zones from becoming concave or bowtied. If a significant fraction of the mesh is bowtied, then the fluid is trying to flow in a way that the mesh is inadequate to resolve. The usual case is that a few zones try to bowtie and thus their area becomes small which results in very small time steps. The effect of the artificial pressure is to apply forces to the mesh points which act to untie any bowtied zones. These forces are completely nonphysical; they conserve neither momentum nor energy; as a consequence if the artificial pressure is active in a significant number of zones for a significant time, the results of the calculation may be meaningless. The "graininess" associated with finite mesh size introduces an artificial scale length. Then acoustic vibrations with a wavelength roughly equal to this zone size tend to be resonantly driven by any real phenomenon which happens to have components at the corresponding frequency. In particular, shock waves have arbitrarily high frequency components which can excite such mesh resonances. Since the real viscosity would typically be effective on scale lengths much less than the size of a zone, there is no physical mechanism which can damp these artificial sound waves once they have been launched. In order to damp these spurious oscillations, which could conceiveably transport significant amounts of energy, several types of artificial damping forces are provided. In addition to the von Neumann viscosities (quadratic and linear) that are used in 1D HYADES, there is the shear viscosity and the "QKL" torsional viscosity. The former acts as a tension along one zone diagonal and a compression along the opposite diagonal. The latter (QKL) is a single effective force for each zone, applied in alternating directions to the zone's four vertices in such a way as to resist differential rotation of opposite edges. See Chapters C and D of Book II, The Physics in HYADES and the supplemental notes for h2d for more information. Conduction energy carried by the thermal electrons (and to a much lesser extent the ions) is performed in a fashion similar to 1D HYADES, but extended to two dimensions. The collisional energy exchange between these two populations is treated the same as in 1D HYADES. See Chapter E of Book II, The Physics in HYADES. The physics of the laser absorption models can be found in Chapter F of Book II, The Physics in HYADES. The implementation in h2d is somewhat different than in 1D HYADES since there can be substantial refraction in the 2D geometries. There is provision for tracking rays in three dimensions even though the deposition is done in two dimensions. There is no Helmholtz wavesolver in h2d. Transport of radiant energy, whether in the grey diffusion model or the multigroup diffusion model is quite similar to that of 1D HYADES. Opacities are drawn from the same sources as for 1D HYADES. See Chapter G of Book II, The Physics in HYADES. Only theta-directed magnetic fields are included, such as those that might be generated by a z-pinch. The magnetic fields can arise from an imbedded field or that resulting from an external electrical current. 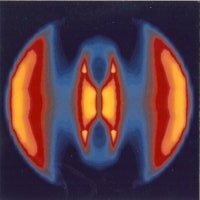 Magnetic diffusion is calculated as well as the PdV work done by/on the magnetic field. See Chapter J of Book II, The Physics in HYADES. 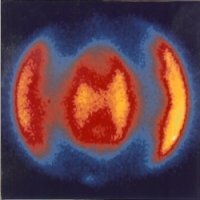 Thermonuclear reactions involving the neutron, isotopes of hydrogen, and isotopes of helium are available. Energy production is calculated using the reaction cross sections averaged over a Maxwellian distribution. The reaction products are transported in the diffusion approximation and the range and energy deposition of the charged particles is calculated from a choice of models. The spectrum of escaping neutrons is calculated. A variety of energy sources are presently available. They include electron, ion and radiation temperatures, electron, ion and radiation energy deposition. Also, there are velocity, pressure, and laser raytrace sources. In most two dimensional simulations using a Lagrangian method, the mesh tends to become distorted to the point it no longer is adequate for solving the particular problem (see the section on Hydrodynamics, above). Provision is made to periodically restructure the computational mesh and then continue the simulation. At present, the rezoning is confined to the manual mode. In a manner similar to that used in 1D HYADES, a post processor file is written that may be used to extract visual renditions of the simulation results. Several post processor utilities are available or under development. In addition, provision is made to translate the post processor and raytrace files using a platform-independent format which is suitable for importing to other visualization codes such as IDL?. H2d is available for the Intel-compatible 32-bit processors and AMD 64-bit processors, both running the Linux operating system.